Despite the fact that he was born in Warsaw, Paweł Pawlikowski has left his homeland at an early age and he was raised and worked in the UK. In the beginning of his career, in the early 90s, he returned to the former Eastern Bloc and mainly to Russia in order to direct some documentaries for the BBC. Also his first fiction feature film The Stringer (1998) was a Russian co-production. Pawlikowski never fully worked in Poland until 2013 when he directed his fifth fiction feature film Ida. The film has won many awards around Europe including the Best European Film at the 27th European Film Awards. The story is set in the early 60s in a divided Poland that is still searching for a new identity. Anna (Agata Trzebuchowska) is raised in a convent, she is 18 and she is about to take her vows in order to become a nun. Before that, she is ordered to meet her only living relative, her aunt Wanda (Agata Kulesza) who lives in the city of Łódź. The initial meeting of the two women is rather awkward as Anna learns from Wanda – who is a low-level judge and former state prosecutor – that she is in fact Jewish and her real name is Ida Lebenstein. Also Wanda informs her that her parents were executed during World War II in the town Piaski where she was also born. Despite their initial frigidness Ida and Wanda will come closer and they will begin a road trip in order to find all the missing details about Ida’s parents and inevitably their own unknown past. 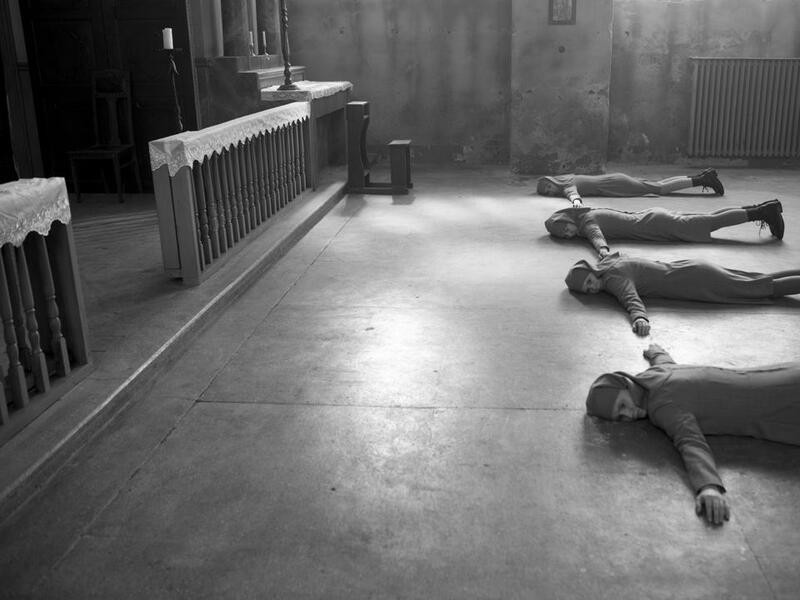 Ida seems as a highly symbolical film or at least this is the approach that Pawlikowski is trying to create. The story which was co-written by the director and the British playwright Rebecca Lenkiewicz is based upon the archetypical conflict of two heterogeneous heroes. On one hand is Anna or Ida, an emotional almost fragile nun who is dedicated to her faith but doesn’t forget her past. On the other hand is Wanda an austere communist judge that seems harsh and easy-going but still misses her glorious past as Red Wanda. This exemplary dichotomy that is depicted by the two heroines is basically the image of Poland by 1962. It is a country that is divided on political, historical and of course religious level but simultaneously is trying to balance and preserve its existence. Through their road trip, Ida and Wanda are following a similar path as they also struggle to balance and find a reason for their own existence. The actual facts of life don’t help them to reach their goal and as their country had to literally burry its victims and forget its infamous past, Ida and Wanda must recreate that procedure with their own lives. Pawlikowski’s attempt to balance everything through his heroines is also the main flaw of his plot. The director, who tries to base the story on theoretical historical facts, cultivates a undeveloped but quite present suggestion of collective Polish guilt. According to Ida, the Christian Poles should feel responsible and guilty for executing the Jewish population during the 40s because they had a different religious faith. A decade later, the Jews that rose in power with Stalinist prosecutions, should also feel responsible for taking revenge by killing citizens that had a different political faith. Theoretically no one is innocent and everyone should be judged as equally responsible since both Christians and Jews had bloods on their hands. To enhance this almost extremely superficial approach to a country’s so complex and troubled history the story is set in the edgy 60s when any kind of faith is already lost. The heroines are used again the great examples. Anna is almost losing her faith in God as she discovers what his fellow believers could do to a human being and Wanda is losing her faith in Communism as she realizes her own crimes. This seems extremely simplistic but quite digestible as an explanation for twenty years of the most troubled era of Polish and generally European history. Undoubtedly Pawlikowski worked exceedingly well on the aesthetics of Ida and by following a minimalistic direction he quite succeeds to hide the lack of his plot depth. There is no doubt that the black and white Academy ratio cinematography by Ryszard Lenczewski and Lukasz Zal is exceptional. The image is so pristine and so thoroughly studied that each frame follows some evident rules. The theoretical symbolisms of the story are also transferred here. On the religious perspective of Ida, Pawlikowski pays a clear homage to the low-angled shots of Carl Theodor Dreyer’s La passion de Jeanne d’Arc (1928), certainly to Robert Bresson minimalistic direction and of course to Ingmar Bergman’s crucifix symbolisms of his Trilogy of Faith. 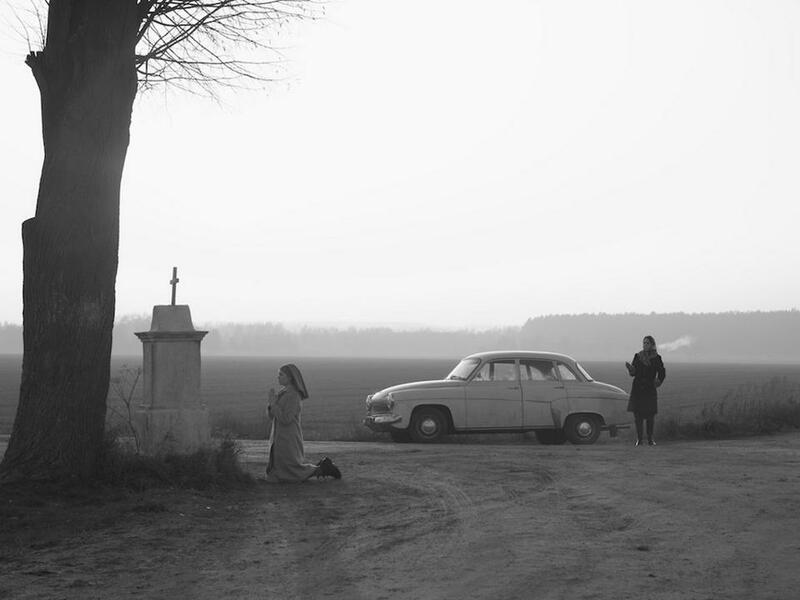 The Polish influences are apparent too as Ida shares some similarities with Jerzy Kawalerowicz’s Mother Joan of the Angels (1961), has some of Andrzej Wajda’s romantic touch and feels close to Andrzej Munk’s bare austerity. Of course the examples could carry on but this recreation of 60s cinema works also as a disadvantage since it is limited only on the appearance. 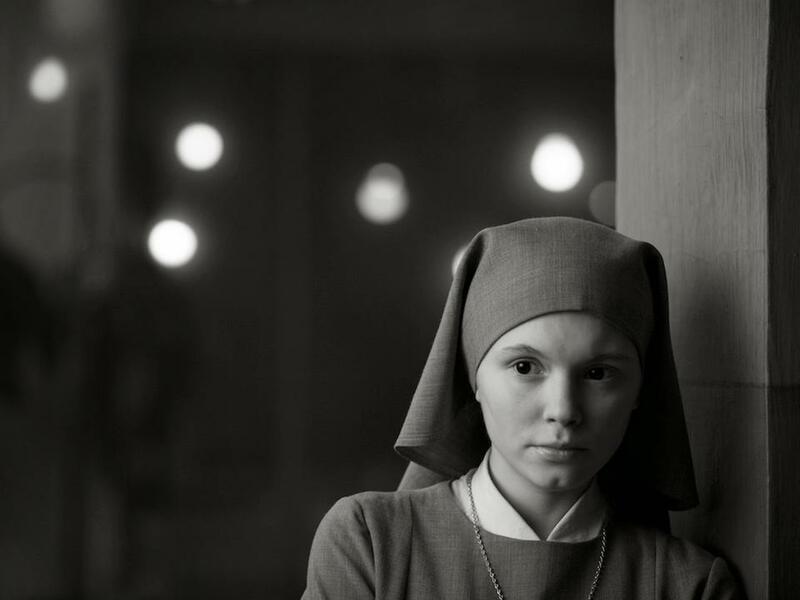 Thematically and aesthetically Ida could be extremely radical in the early 60s but Pawlikowski’s attempt to be that accurate to the era forces him to be nostalgically formalistic. Certainly an accurate homage is always more than interesting even by today’s standards but an extreme perfect reconstruction of the past becomes too austere and sometimes even schematic. This almost romantic approach to the perfection of the past doesn’t really help Pawlikowski’s image to evolve. There are scenes where the form indulges the message which is already not as strong as it should be. It feels like Pawlikowski really studied in depth the aesthetics of the 60s but he wants to beautify everything to be as perfect as he thought it should be. This is also his main fault because Ida lacks originality in that field especially when it is compared to its predecessors. Pawlikowski could be parallelized as an excellent conservator that struggles to save and improve a masterpiece by adding some final touches. The masterpiece is saved but in the end, the touch of the artist is lost and we only get a restoration. With Ida, Paweł Pawlikowski wants to express everything in the most minimal and the best visual way. It is a quite challenging attempt but it is not as successful as it should be. The accumulation of all the nostalgic clichés of what could make an “European” film so great doesn’t always work. Pawlikowski has a lustful romantic affection to the past but in order to remain faithful to his precise formalism he ended up with an immaculately iconolatric suffocating film. Palikowski’s choice of “expressing everything in the best visual way” is, actually, what cinema is about. You say “formalism”, like it was a choice against content, when actually, and particularly in this movie, the form creates the actual content of the movie, not some “content you thought you would find but didn’t”. The formal choices in the movie don’t only serve to some critical exercise in order to recognize cool influences. Actually, I don’t think they serve to that at all. After having analyzed it, I can say that Ida is totally coherent within itself, and if there’s something you’re missing in the movie, it’s either because it’s not there and there’s no one saying it should be there in the first place, or because it’s there and you fail to see it. The message is not as strong as it should be? But what is the message supposed to be, according to you?